KayKiSpeaks.com: LeBron James Announces He's Awarding 1,100 Full Ride Scholarships To Students! 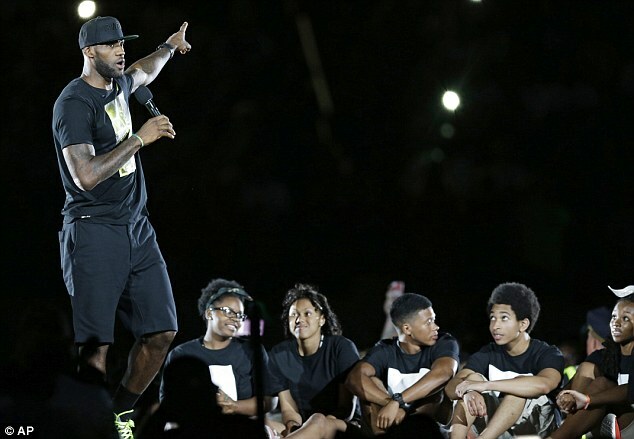 LeBron James Announces He's Awarding 1,100 Full Ride Scholarships To Students! LeBron James is one celebrity who not only contributes well to his field of entertainment, but he also contributes to causes that highly impact his target audiences' real lives. Some may have questioned his devotion to his home state when he decided to leave the Cavs a few years back. Other true Ohioans knew, he was in fact a die hard Ohioan himself, and would never really leave his hometown for long. Not only did he return, but he's been giving back to his community in a major way. For the past five years LeBron has sponsored the I Promise Program-which is founded by his LeBron James Family Foundation. This past week we learned that he's taking his commitment to the education of the young kids in his hometown to a whole new level. The LBJFamily Foundation is partnering with the University of Akron to fund full scholarships to students who complete the academic program. The kids must meet all of the attendance and grade requirements, but starting in 2021 they will potentially have little to no financial obligations blocking their ability to continue their education. I'm sure the attendance and grade requirements are a small feat for those who really want to go to college. This is very special to me. As a kid growing up in the inner city and as an African American kid, you don't really think past high school because it's not possible or your family can't support you. For us to be able to do something like this. It means so much. The star athlete is gearing to give 1,100 FULL rides to his students. The scholarships will kick in just in time for this year's seventh grade class to be the first group to benefit from it. This is super awesome and deserves all of the press it can get. Just another reason for me to really dig this guy.